You can color the water in Minecraft. With this mod you can change the water aspect of the game, but not only that, find two boxes of ingredients in the interface of the “Mixing Table” , where you can add certain objects that allow to attribute effects to water. So when a player falls into water, the water will cause the effect that provides the element you added to the recipe, similar to Minecraft potions. To the mixture of colors, there are three basic elements, the lapis (blue), marigold extract (red) and the extract of cactus (green), these three basic colors combine to give rise to the color you want. 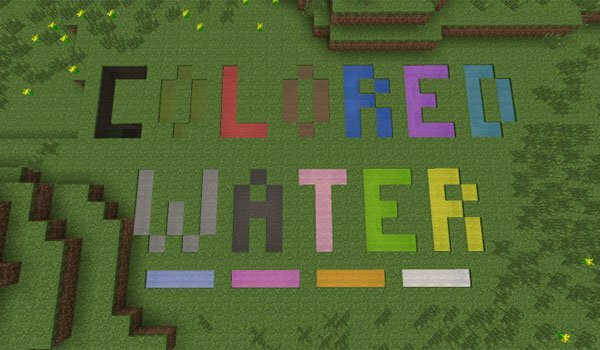 How to install Colored Water Mod for Minecraft 1.6.2? Give new colors and altered effects in Minecraft water!